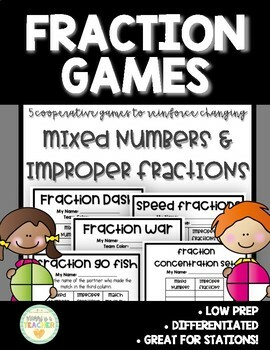 This resource contains 5 engaging games to help your students practice or review changing improper fractions and mixed numbers. 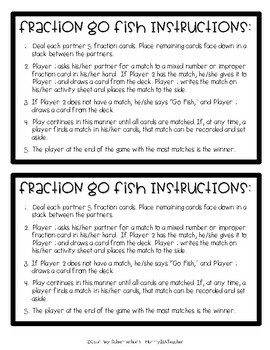 It is engaging, very low prep, can be easily differentiated, and the games are great for stations. 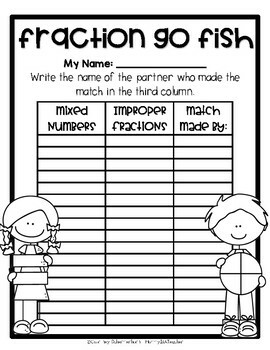 They can be used during your fractions unit, as a review for benchmark testing or state testing, or both! 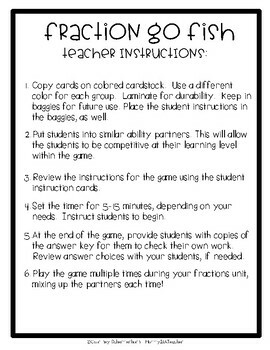 Some games are more challenging, and can be used to differentiate for your students. At less that $1 per game, this resource is a STEAL! Check out the preview by clicking the green tab below the thumbnails to see what's included in the resource! Please leave feedback and let me know how the product worked for you! You will earn TPT credits to use on future products! Follow my TPT store for updates on new products, discounted products, and sales. Click on the “Follow” tab on the top of the page! You can also follow me on Facebook, Pinterest, Instagram, and the Mommy Is A Teacher blog for supplemental resources, ideas, flash freebies, and MORE! Purchase of this product entitles the purchaser the right to reproduce the pages in limited quantities for one classroom’s use only. Duplication for multiple users is strictly prohibited without written permission from the seller. Multiple licenses are available for purchase in my TPT store at a discounted price.